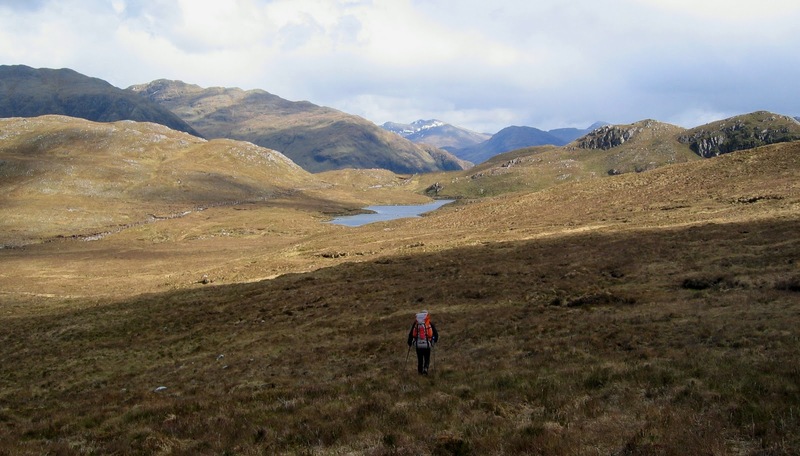 Recently there has been a minor furore about the despoiling of the Monadhliath mountains by yet another clutch of turbines, this time on the Dunmaglass Estate. My old mate, Alan Sloman spoke on a local radio station earlier today about it. 'There was a rocky valley between Buxton and Bakewell, once upon a time, divine as the Vale of Tempe... You Enterprised a Railroad through the valley - you blasted its rocks away, heaped thousands of tons of shale into its lovely stream. The valley is gone, and the Gods with it; and now, every fool in Buxton can be in Bakewell in half an hour, and every fool in Bakewell at Buxton; which you think a lucrative process of exchange – you Fools everywhere'. How he hated that towering man made structure, the camps of the workers, the new tracks and roads to haul in the materials. Sound familiar? From Cornwall to the Severn, the Peak District to the Yorkshire coal fields and on through the Lake District and into Scotland, the story of the hills has as many chapters about industry as rural idyll. Just think about the old fences whose iron bones still march across the wildest of landscapes and we realise that most of our 'wild land' is more 'abandoned' land or 'currently unexploited'. Not really wild, and it hasn't been for hundreds, perhaps thousands of years. Industries rise and fall according to economics and the needs of the times. And when they fall, what remains? Except for opencast mining and quarrying, not very much usually. A few holes in the ground, lakes, mounds and hummocks, traces of disused railways, tracks and tramways, the odd structure for industrial archaeologists to get excited about. Indeed old slate mines, copper and lead mines, settlement pools and polluted spoil heaps and so on add greatly to the interest of many popular walks now – although at their height these areas were probably pretty unpleasant places to be if you were just after a quiet country stroll. But I disagree with that view - at least as regards using it as an excuse for government sponsored industrialisation of the countryside. Those old industries produced a real product, benefits and profits in an open market, whereas the benefits of wind power are largely an illusion born of wishful thinking. Its profits are created by manipulation of the energy market in pursuit of lessening “anthropomorphic global warming”. Currently a warming trend exists for sure, but no-one really knows how much of it is man made, and what marginal effect a few windmills will have on it is somewhat debatable. Preparation for the increasing scarcity of fossil fuels is, in my view, the more important factor, and should be the real driving force in the search for new forms of energy. Indeed the current turmoil in the middle east underlines the importance of energy security. Unfortunately the entirely logical desire for energy security for the nation has been subverted by the green movement into some sort of quasi-religious quest for purity as well as power. Back in 2007 Tony Blair, amongst sundry other misjudgements, commited the UK to generating 15% of our energy from renewable sources by 2020. That meant wind. What else was there that could be put in place in time? Was he condemned as a fool? Of course not. Rather he was cheered to the rafters by the green lobbyists to whom he was sucking up. And to my old green friends who now gaze with dismay at the ranks of turbines that bristle across our hills, I say that it only goes to prove the old adage: “Be careful what you wish for”. 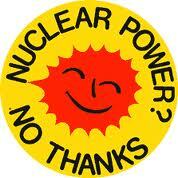 Does anyone still display those “Nuclear Power, No Thanks” stickers? Maybe not, as to many people they look a little foolish as the great white pylons of the windfarms march across land and sea, but there are plenty of activists around who are against, well, any attempt to produce power really. Look around and you will find activists preparing to battle against coal, nuclear, biomass, tidal. You name it and there's someone against it. We all need electricity, but as every attempt to provide it is “environmentally destructive” in one way or another, there will always be someone, somewhere protesting. We all want the product, but no-one wants the factory. Then we have the Kyoto Protocol which produced the bizarre idea of “carbon trading” and “carbon credits”. This is akin to the purchasing of pardons which once provided the mediaeval church with a rich source of income. Now, in the secular religion of Global Warming, carbon credits fulfil the same purpose and provide the priesthood of “renewable energy producers” with the same riches. In the case of Scotland this is especially lucrative as the executive there has ruled out any nuclear station on Scottish soil. Currently 20% of our electricity is produced by nuclear power stations - with zero emissions. My local nuclear station (Sizewell) alone can provide 3% of the entire power needed for the whole UK. This exceeds the real output of the entire wind industry from just one nuclear site. Unfortunately this happy state of affairs will not last long. Thanks to the dash for green energy the greater proportion of our nuclear power stations are due for decommissioning, and conventional power stations too are being closed. This has left a seemingly unbridgeable gap between demand and supply. Suddenly nuclear is in vogue again, but it takes a long time to design and build a plant, although every nuclear site has both the land and the transmission cables right there on site. Worrying about losing the perceived green vote has led to over a decade of dithering and the potential loss of almost a fifth of our generating capacity. Thus with gas and solid fuel power being CO2 unfriendly (and a dimishing resource anyway), nuclear output diminishing and solar and wave power negligible – what is left? Other than the pedalling the dynamo on my old Raleigh it seems that the only way to meet our obligations in a manner acceptable to the majority of urban greens is with wind (more sprouts anyone?). You will note that I used the phrase “manipulation of the energy market” as opposed to “subsidy”. Wind power and renewables are not subsidised in the conventional sense. All electricity generation companies are required to generate a certain proportion of their power from sources designated as renewable, such as windpower, biomass, wave power etc. If a company falls short of this Renewables Obligation (RO) they have to pay a “buy-out” fine, which for 2010/2011 was set by Ofgem at £37 per MWh. However, the Renewables Obligation that currently supports the wind industry need not, and will not be a permanent fixture. Here’s why. ROC prices are difficult to determine with certainty, because both electricity and the certificates are sold on an open market and the price fluctuates according to demand. Furthermore, electricity and ROCs are not always sold together. Representative prices can, however, be gauged from the figures published by the Non-Fossil Purchasing Authority Ltd and I give an example of how the system works below. The prices achieved at auction for ROCs may seem to be very high, but recall that the fine for not having ROCs is itself high, plus, and this is a real hoot, anyone possessing ROCs at the end of the year is entitled to a share of the fines paid by other companies. You can see why the value goes up disproportionately. In fact, because electricity and ROCs can, legally, be sold separately, ROCs are freely traded and there is a lively speculative market. For example, a speculator might buy ROCs and electricity early in the year, selling the electricity on separately, but keeping the ROCs in the hope that the overall supply of renewable electricity would be low in that year, and that there would be suppliers desperate to meet their RO and willing to pay high prices for ROCs. Can this be right?. Surely, you might think, a supplier has to actually sell renewably generated electricity to meet its RO. The answer, oddly, is that this isn’t necessary. All the power a supplier sells can come from a CO2 belching coal fired station, but provided that the supplier can buy sufficient ROCs on the open market the Renewables Obligation will have been met. This is perfectly legal, and exactly as the system is designed to work. 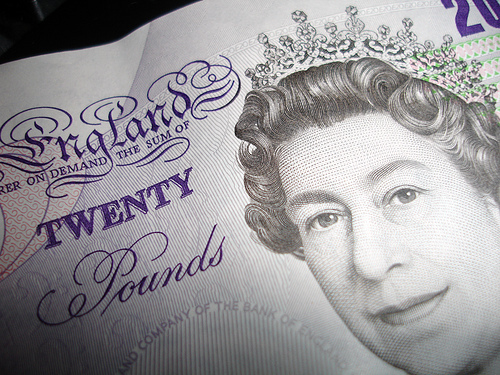 So how much might a renewable electricity generator earn in a normal year? In the following calculations we will use £40 per MWh as an approximate wholesale electricity price, and the latest ROC price of £48.34*. 64 MW (total capacity) x 8760 (hours in a year) x 0.241 (Load factor) = 135,114 MWh. * ROC auction price achieved Dec 2010 – source eROC. Thus, we can see that electricity sales constitute only 45% of a renewable station’s income. The remaining 55%% comes from indirect subsidy. And if you think that is a large distortion, seven years ago, when electricity was cheaper, the figures were 30% from sales and 70% RO income. Clearly, somebody has to pay for the RO system, and the answer is that it is you & me, the electricity consumers. The electricity suppliers are businesses trying to stay in the black, and since they have had to pay more for their electricity from the generators, because of the ROC premium, or have had to pay fines to Ofgem, they charge the customer more for their electricity. The Climate Change Levy (CCL) is an additional tax on energy used by businesses (I know – it hardly makes our manufacturing base more competitive, but logic does not have much of a role in this Alice in Wonderland world). It was announced in the March 1999 budget, and implemented on the 1st of April 2001. In relation to electricity the CLL requires suppliers charge commercial customers (i.e. business not domestic - we plebs are charged indirectly) an extra 0.47p per kWh (i.e £4.70 per MWh), which monies are then remitted to the government – supposedly to be used to promote energy saving schemes. The levy exemption certificate (LEC) is the climate change levy imposed on commercial sales of electricity. Renewable energy is exempt from this charge and the renewable generators can negotiate a proportion of this value for each unit produced, at approximately £2.30 per megawatt hour. Climate Change Levy: 135,114 MWh x 0.66 (proportion of electricity assumed to be commercial) x £3.15 per MWh (CCL premium) = £280,902. Are the Subsidies Worth It? The market for renewable energy is an artificial one created and maintained by government legislation. When the wind-power industry claims that onshore wind generation is not subsidized, and that it is self-supporting, it is indulging in sophistry. It is true that, owing to the higher capital cost of Offshore Wind Turbine Power Stations, an additional direct subsidy is offered to promote their construction, and that this capital grant is not available to onshore wind. However, the fact that the ROC subsidy is indirect and does not pass through government hands (it’s Ofgem) does not make it any less of a subsidy. Without government legislation creating the Renewables Obligation and Climate Change Levy system this source of income would be unavailable to the wind-power industry. 1. Onshore wind is very significantly over subsidised. 2. The Renewables Obligation is a very expensive way to save CO2, and it doesn't save very much anyway. 3. The RO entirely fails to distinguish between technologies of varying merits. 4. 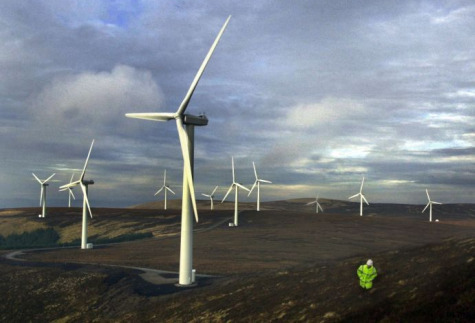 Wind is of the least use at periods of highest demand - only 0.2pc of a the "theoretical" 5pc of the UK's energy was generated by wind turbines during January's cold snap, when high pressure meant an overall lack of wind. The great lie that "renewable energy" is somehow "free" has been swallowed hook line and sinker, wheras in fact 30% of our electricity costs are squandered paying for and propping up these woefully inefficient generators. I think the best laugh I had whilst researching subsidies was the spanish solar generator, which achieved spectacular output figures (and millions in green subsidy as a result). Until some beancounter noticed that much of the output was generated at night - in total darkness. Of course, the scam was that they were buying conventionally generated electricity, and selling it on as highly subsidised and profitable solar. How reprehensible. How very like our domestic wind industry selling ROCs! Now, if you’re still here and haven’t dozed off yet, you might be wondering where this leaves my pet nuclear power (zero emissions etc etc). If you read the Grauniad you might have been persuaded by their somewhat partisan contributors that nuclear energy is too expensive and has no part to play. The wholesale price of electricity would have to be at least £70 per Mwh for it to be viable they assert. Just revisit the figures given above for wind power and factor in the fact that the nuclear industry has no RO certification. That's right - none. It may be CO2 free, just like all its other zero carbon competitors, but receives absolutely no "green" subsidy whatsoever. Now move the wind subsidy over to the nuclear chaps, now add in the directly paid subsidy for the construction costs of offshore wind. Suddenly it makes sense now, eh? CO2 free electricity whether the wind blows or not, and no more windmills required. There is a balance to be struck between all the sources of energy, for sure, and I am not suggesting that we should go completely nuclear (as some readers are probably going right now!) but the energy field is far from level. It has been deliberately skewed because a bunch of gullible politicos signed us up to Kyoto – which I suspect many of those now weeping over the consequences supported wholeheartedly. The imbalances must be redressed, and until this happens halting the odd development here and there is as futile as bailing out the Titanic with an egg cup. The representations need to be to parliament to revise the ludicrous system of reward to favoured low carbon generators, irrespective of their real effectiveness in satisfying the nation’s energy needs. Frankly, and I say this with regret, the amusing idea of carting a coffin past a deserted Dunmaglass Lodge for the entertainment of a couple of bemused gardeners and the caretaker, is unlikely to change anything. A revision of government policy – for good solid economic and strategic reasons – will make a difference. It takes longer to achieve, and isn’t nearly as much fun as a bonfire, however, it is ultimately effective and the effect is permanent. This is politics, and it will take time, but, as I remarked earlier, industries come and go. As more renewable energy becomes available the RO certificates will diminish in value. So why not make nuclear equivalent with wind etc? Our politicians finally woke up in 2008 (better late than never, eh?) to the stark fact that the dash for wind and wave power was just that - puff and wind - and nuclear energy is, belatedly, back on the agenda. Not that anyone dared admit it. But at least in my neck of the woods there is a proposal for the long delayed Sizewell C, which would, together with the planned units at Hinkley Point, contribute 13% of UK electricity in the early 2020s. Ten years hence. Yes, it will take over a decade to make up the lost ground, longer if our politicians wobble when the inevitable protests start. So what of the current commitment to wind? I would like nuclear energy to get similar benefits from the subsidy system that wind does now. That would transform the industry (mind you, the envirozealots at the Grauniad fulminate at the very idea - better industrialise the whole countryside than peel that sticker off their 2CV or GWhiz). Refurbishing and re-equipping the less viable windfarms, will be then be found to be uneconomical - they just couldn't achieve the output required to justify the capital outlay. Now the big problem is how to get the politicians to read it, getting them to understand it will be even harder. The Scottish government is so rabidly anti-nuclear and pro-wind that after speaking to any of them I feel that a discussion with a Haggis would be more productive, less greasy too. Thanks Roger. At least in Westminster some anti nuclear politicians are shifting their ground. Chris Huhne there, performing a very neat U turn in the face of hard realities. Yeah, but 'no public subsidy' because it's 'old technology'. What nonsense. 'Proven technology' I'd say, and more desrving of support fo that reason. What an incredibly well thought-out and well-researched piece Phil. Best bit of blogging I have ever seen. "Well Researched"??? Alan, you old flatterer. Most of the information is freely available from Ofgem, government websites and, of course, the generators themselves. However, the full extent of the "hidden subsidy" was first brought to my attention in a publication by a campaign against Suffolk's first onshore wind farm (Nowap) back in 2005. I referred to their detailed research quite a bit in understanding how the system works. That the "subsidy" is grossly excessive is shown by landowners being offered up to £15,000 per year per turbine in annual rent to host a wind farm.